Nope, not us. No way. No how. Terrifying. Not going to happen. Something clicked inside her head, and she decided that she had come to conquer. 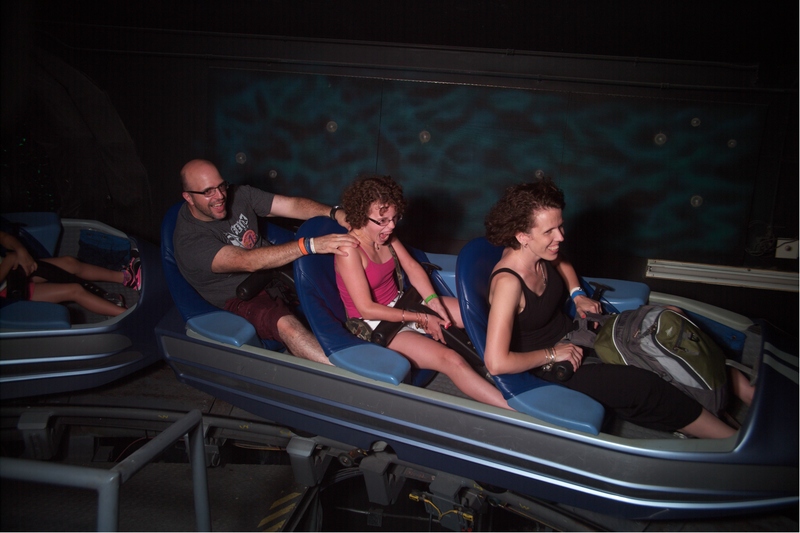 There was a pit in my stomach when she first declared she was going to go on Space Mountain. 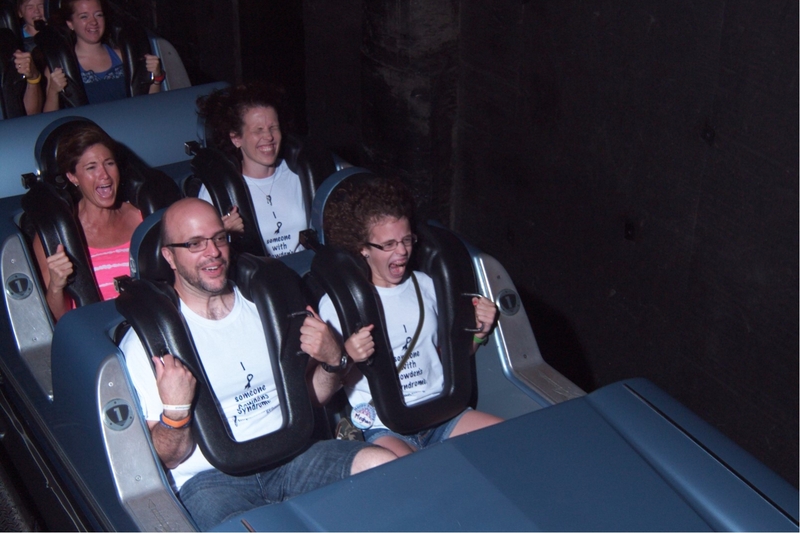 Roller Coasters have never been my thing either. But, she even decided who was going to sit in front of her and behind her. No getting out of it for me. She told me that she had been through a lot in her life. And that she shouldn’t be scared of a ride. True. There was that quote by Eleanor Roosevelt we had read, and referred to so many times. The first time we were both a little scared. Then there was the second time. And by the third time she owned it. 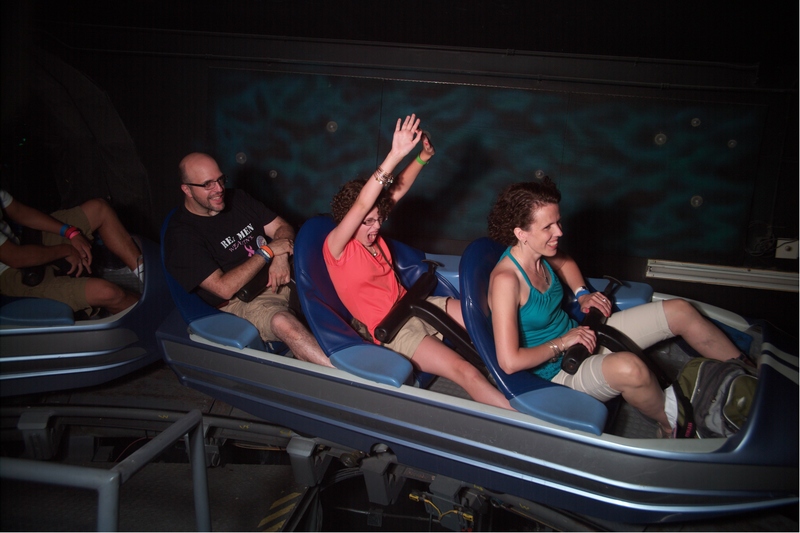 “Rocking Roller Coaster!” she declared. 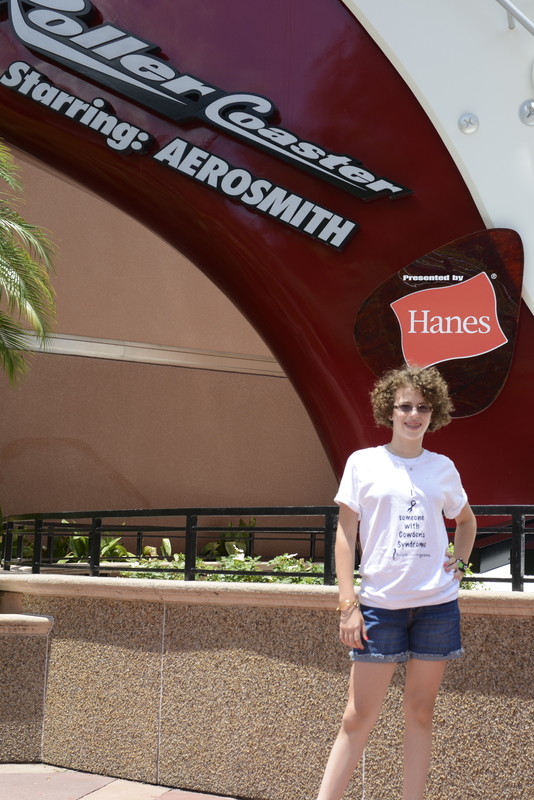 And so we headed to the Aerosmith ride that wasn’t even on the consideration list a year ago. Twice. I went too. And I really didn’t mind. “Life begins at the edge of your comfort zone…” Words I am learning to be truer each day. 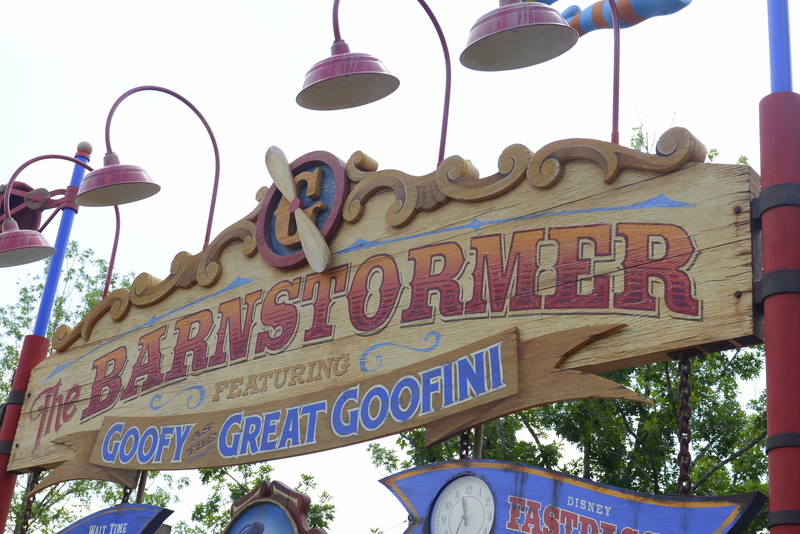 And so in the week that was, we rode Space Mountain, Aerosmith, Big Thunder Mountain, Seven Dwarfs Mine Train, Test Track and even the Barn Stormer together. 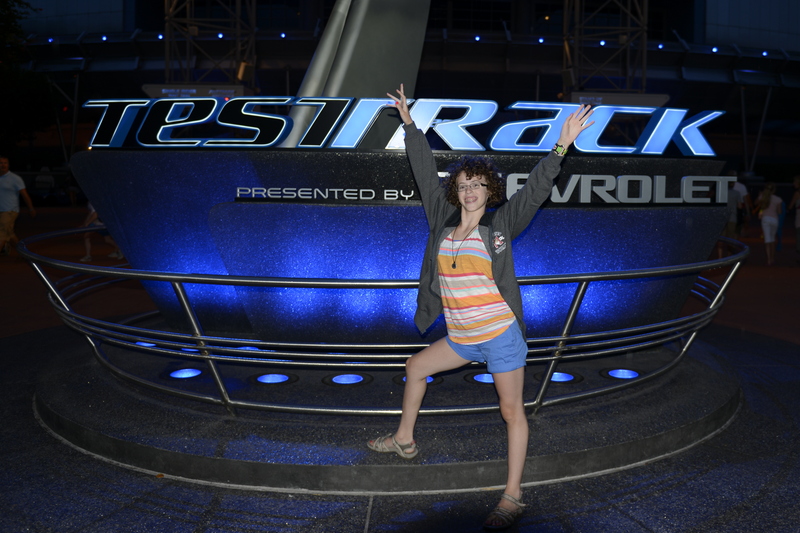 I did Star Tours too, but virtual reality isn’t really agreeing with me anymore. Maybe too much reality? 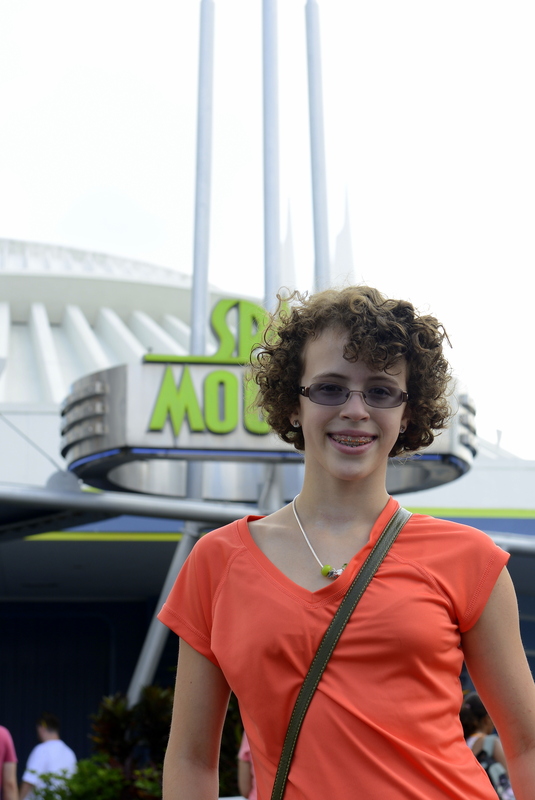 So she went on Mission Space with her Dad – twice. Once on the beginner level, then on the advanced. 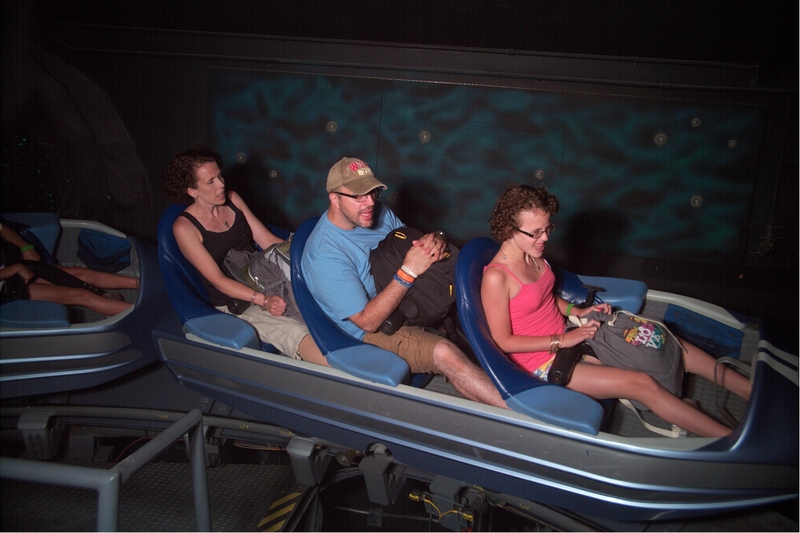 And they rode Splash Mountain too – just because. It makes me happy to see her conquering fears. There are so few of them, that I am hopeful nothing like a roller coaster ever stands in her way. OH MY GOSH this is the BEST POST EVER! Her “posing” pic, her shirt, her face in that picture, ALL OF THIS. We loved it, but what’s not to love? how fantastic for all of you!!!!! !